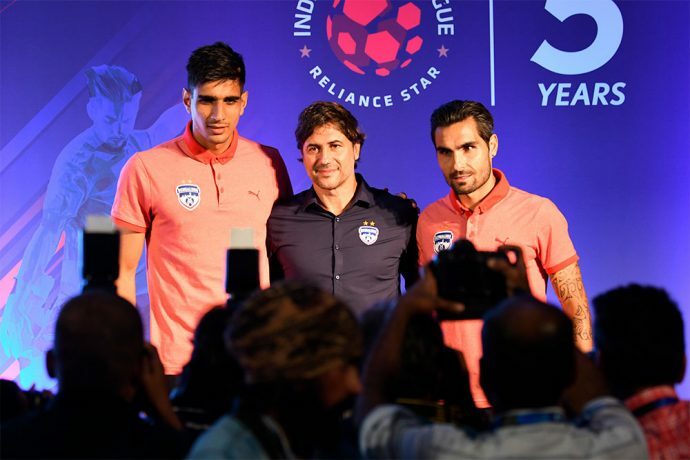 Bengaluru FC coach Carles Cuadrat outlined the need for the club to maintain the high standards they have set in the last five years as they gear up for their season opener against Chennaiyin FC while speaking to the media during the Indian Super League Media Day at the JW Marriot Hotel in Bengaluru on Thursday. “The most important thing for us at Bengaluru is that we have to keep our mentality intact. We want to win trophies like we have in the past seasons, and we also want to reach the final stages of competitions. The club has always been competitive and when you reach that stage, it’s just about the last few games which decide whether you become champions or not,” said Cuadrat when talking about the challenge of leading Bengaluru. “Last season we had an amazing league phase in the ISL which brought us to the big final. We fell short there, but went on to win the Super Cup. Similarly, the club had lost a league title at home a few years back in the last few moments. What makes the club and the supporters stronger is the desire to reach and stay at that level and that is something we work very hard on,” added Cuadrat. Playmaker Dimas Delgado who has been out of competitive action since last season’s ISL final, made his comeback during the pre-season in Spain. However, having picked up another injury, the Spaniard was further ruled out of the Blues’ AFC Cup knockout campaign. Fit and eager to play, Dimas feels the adrenaline rush and is excited for the new signings. The Blues open their Indian Super League campaign with a clash against Chennaiyin FC at the Sree Kanteerava Stadium on September 30.